Telluride’s rumor mill spins fast and furious in this small town, but ski resort CEO Bill Jensen spoke this week to quash the speculation. 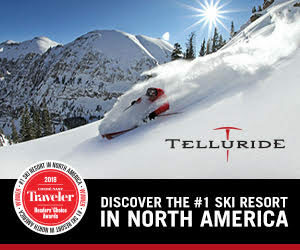 Here’s some good news: Starting next season, all Telluride season pass holders will get 50 percent off lift tickets at Vail-owned resorts. Telluride’s chef extraordinaire Patrick Laguens shares one of his signature recipes. Telluride athletes Gus Kenworthy, Keaton McCargo, and Hagen Kearney are headed to the 2018 Olympic Games in South Korea next month. I had to scrape ice off my windshield this morning, which made me strangely happy. That means that even if it’s not snowing, it’s cold enough to make snow. Dive in naked! Here are a few tips from a skinny-dipping veteran.